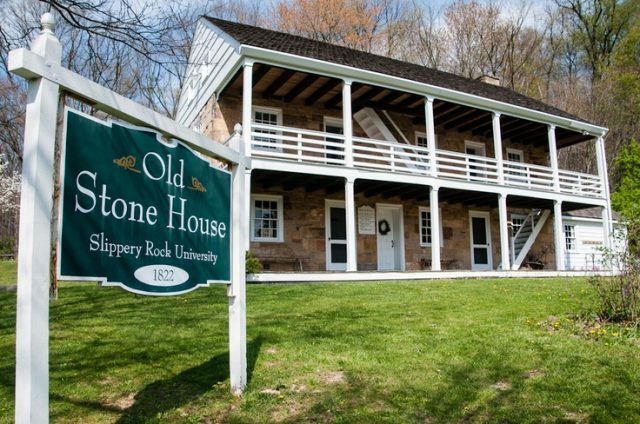 A program at the Old Stone House will feature how people have used textiles for practical and creative purposes throughout history. “Stitches in Time” will take place from 11:00 a.m. to 5:00 p.m. Saturday and Sunday and April 28 at the site near the intersection of Routes 8, 173 and 528. The exhibit will display historic textiles from the 18th to early 20th centuries, including embroidery, quilts, clothing, and decorative art, displayed alongside contemporary textile pieces created by students of Slippery Rock University associate professor of art Barbara Westman. Admission is free. The exhibit is part of SRU’s Kaleidoscope Arts Festival, and is co-sponsored by the Stone House Center for Public Humanities and SRU Art Department.